Statistics show that among the leading causes of stress, workload accounted for around 46% which forms the single biggest chunk among other reasons. To then consider that an additional 6% stress is also caused by a lack of job security which is again a work-related stress. So, when work is a cause for so much stress and is so widespread, how could an employer hope to achieve maximum efficiency among employees? This is one of the most crucial question that any employer must answer if they want to maintain their organization. If not, the efficiency of the organization will be greatly affected and as a result, before long, there may not be any organization to maintain at all. So, employers’ have been caught in the struggle of finding out how to reduce this stress and prevent the employee breakout that they are so afraid of. One of the most effective ways seen to work when it comes to reducing work stress is providing a tension free zone to the employees. These rooms are just simple tidy spaces within an information where an employee can come to take a break. As a rule, it should be notified that no work related discussion is to take place in these rooms. As a result, employees will find it easier to come here and regroup before they can get back to their stressful schedule. One of the concepts when it comes to handling employee motivation is informational symmetry. This is the idea that both employees as well as employers have perfect knowledge of whatever is going on in the organization and what sort of a role each and everyone is to play in the situation. This then helps to reduce agency costs and increase employee motivation as well as reduce success. Healthy spaces refer to spaces such as gyms or spas within the vicinity of the office. In fact, they do not even need to be within the office, but the employer just needs to facilitate employees in availing these services. These services allow employees to work off their stress and get in shape as they work on their physique. Moreover, work spaces should motivate employees to join and make use of these services to beat their stress. Perhaps nothing is as effective in helping to bring down employee stress levels than the mere act of proper communication. By this I mean that the employer should always communicate effectively with the employees making exactly clear what is expected of them. These clear communication avoid any uncertainty or any blunders to make sure that everything is done effectively. Another more important aspect of bringing down stress level among employees is to set an example for them. If you expect your workforce to be in the office for 6 straight hours, you should be the first to enter and last to leave yourself. This does not only motivate employees but also establishes trust and loyalty between the employer and employee. Hicks Crawford is a leading Online Marketing Business on Links2Lead Company. Over the past 4 years, He's worked closely with clients from all over the world to help them get more results from inbound marketing and blogging. Through experience, He has mastered some of the most powerful Tech, Content Marketing and Social Media Platforms. 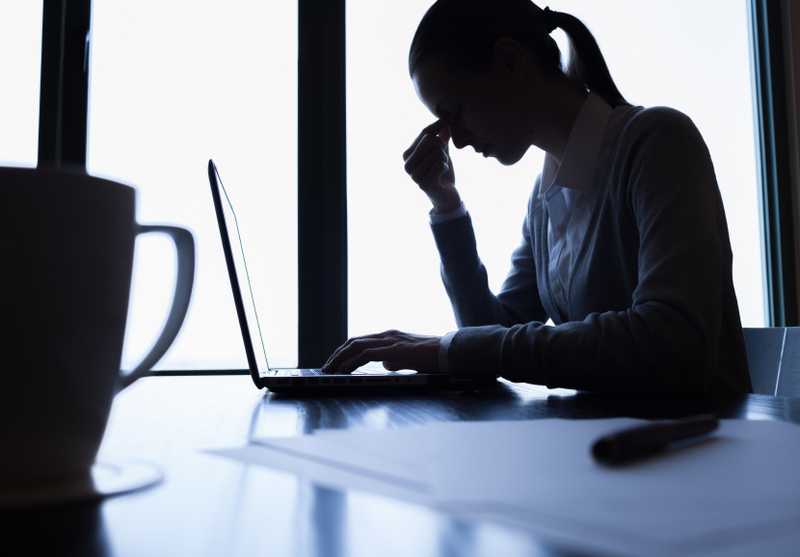 Are you suffering from workplace stress?